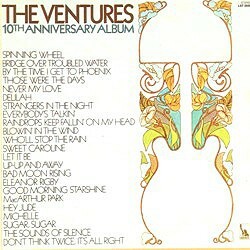 The Ventures’ 10th Anniversary Album left one eminent reviewer so unimpressed that he could find a good word to say only about one track on the set. Rather harsh and unforgiving, I would say, but one can only agree about this particular effort: ponderous and ill-focused with a lead guitar that seems utterly lacking in smoothness and dexterity, this one sounds astonishingly maladroit from start to finish – especially finish. A prime candidate for the worst Ventures cover version … ever? On second thoughts, delete that question mark. 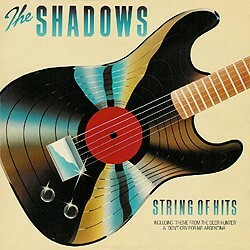 ‘The Theme From The Deer Hunter’ became standard Shadows fare onstage, but their version of this Paul Simon piece from around the same period is scarcely less polished, has bags of atmosphere and a decent melody to boot.